Physical Therapy specialist, Kendra Aikenhead, opened Aikenhead PT in the A+ Total Care building in the fall of 2014. She received her doctorate of physical therapy in 2008 and has experience in a broad range of physical therapy disciplines from acute care to post-surgical rehabilitation, sports injuries, and a variety of other musculoskeletal conditions. 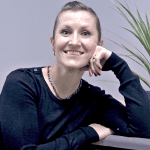 Kendra serves patients referred from A+ Total Care and other providers. She also helps the Elko County School District as a special education physical therapist providing care to kids with special needs. Call 775-738-4666 to schedule your appointment with Kendra Aikenhead. Visit www.aikenheadpt.com to learn more about Kendra’s expertise. High Desert Imaging opened their outpatient radiology center in the A+ Total Care building in August of 2016 bringing greater choice in medical imaging to Elko and surrounding communities. 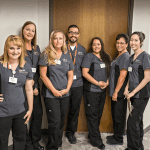 HDI brings the convenience of in-town, on-site MRI and CT scans, x-rays and ultrasound, bone densitometry tests DEXA, digital mammography and other health screenings along with 40 years of diagnostic imaging and radiology experience to A+ Total Care providers and patients. Call 775-621-5800 to schedule your appointment or request an appointment online through the HDI website at www.hdielko.com. Dr. Jonathan Daniels is an obstetrician-gynecologist in Salt Lake City, UT and is currently accepting new patients at A+ Total Care. He is affiliated with multiple hospitals including LDS Hospital and Salt Lake Regional Medical Center and served as a physician in the U.S. Air Force in Mountain Home, Idaho where he was awarded the Meritorious Service Medal. Most recently, he had a private practice in Kansas for 8 years before moving back to Utah in 2009 where he has become known as “Salt Lake’s OB/GYN”, having delivered more than 4,000 babies in Utah alone. Call 775-34-OBGYN (346-2496) to schedule your appointment with Dr. Daniels. 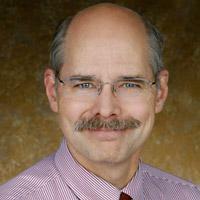 Visit www.saltlakeobgyn.com to learn more about Dr. Daniel’s expertise. 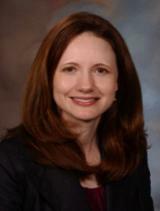 Dr. Erin A. S. Clark, MD, is an Associate Professor of Obstetrics and Gynecology at University of Utah Health. She is board-certified in Obstetrics and Gynecology with a sub-specialty in Maternal-Fetal Medicine. She specializes in managing high-risk pregnancies with a focus on women who have current or previous pregnancy complications, including a history of preterm birth. Dr. Clark currently sees patients for prenatal care and for consultations before, during or after pregnancy. She also offers prenatal care through the University of Utah Virtual Prenatal Care Program and has clinics at University of Utah Hospital in Salt Lake City, UT, and South Jordan Health Center in South Jordan, UT and sees patients at affiliated hospitals throughout the Intermountain West. Call 801-581-8425 to schedule your appointment with Dr. Clark. Visit www.healthcare.utah.edu to learn more about Dr. Clark’s expertise. Dr. Chelu is an Assistant Professor in the Department of Medicine. He obtained his undergraduate and master degrees in physics from Babes-Bolyai University and his medical degree from Iuliu Hatieganu University of Medicine and Pharmacy in Cluj-Napoca. Subsequently, he joined Baylor College of Medicine in Houston for his doctoral degree. After completing his Internal Medicine residency at University of Texas Health Science Center at Houston, he completed his Cardiology and Clinical Electrophysiology and Pacing fellowships at Texas Heart Institute at St. Luke’s Episcopal Hospital/Baylor College of Medicine in Houston. Prior to joining the University of Utah, he was faculty at East Carolina University. Dr. Chelu specializes in the management of heart rhythm disorders using antiarrhythmic drugs, ablation, and device implants and the management of stroke using oral anticoagulation and devices for stroke prevention. Call 801-585-7676 to schedule your appointment with Dr. Chelu. Learn more about Dr. Chelu’s expertise. 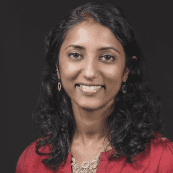 Dr. Anu Abraham, M.D., is an Assistant Professor of Medicine with an appointment in the Cardiovascular Division at the University of Utah. Dr. Abraham has a wide clinical practice with specific interests in coronary disease, peripheral vascular disease, and structural heart disease. Her research interests focus on clinical outcomes of patients undergoing transcatheter aortic valve replacements (TAVR). 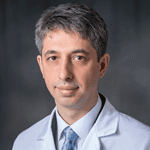 Dr. Abraham is board certified in General and Interventional Cardiology as well as Endovascular Medicine. Call 801-585-7676 to schedule your appointment with Dr. Abraham. Learn more about Dr. Abraham’s expertise.